There is no warranty cover on any Lithium Batteries purchased from outside UK and IRELAND. In case of any fault with the battery you will not be able to return it back to us in UK. Most couriers will not transport a failed/faulty lithium battery. The manufacturer's warranty covers purchases within the UK and Ireland only. 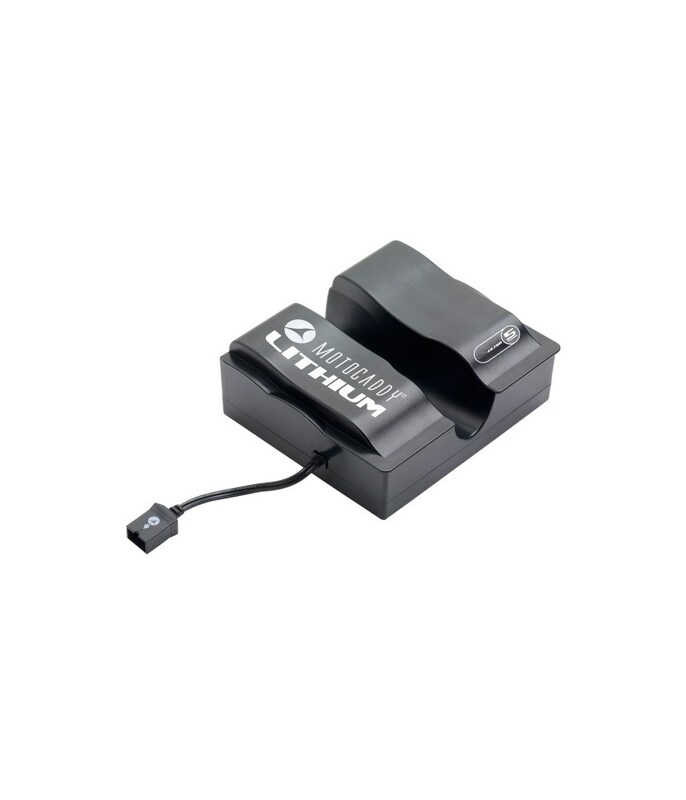 If you want full warranty cover for the lithium battery within your country, please remove this product from your basket and purchase the battery from the manufacturer's authorised retailers within your own country. You may only continue checkout by accepting these special Terms and Conditions stated above, or by removing this product from your order. The Motocaddy S-Series Lithium 36 Hole Battery Kit is the perfect way of getting a more compact, lightweight and more efficient battery. Even with the extended 36-hole Lithium battery it can be charged from empty within 5 hours and it is up to 75% lighter than the lead acid version. As the lithium battery is more efficient Motocaddy have been able to give the product a market-leading 5-year warranty to give you peace of mind. Motocaddy have used a Battery Management System to protect the Lithium, that is what gives the battery a five times longer lifespan than the lead acid version. So it is cost effective to change your Motocaddy S-Series lead acid trolley to a lithium battery when you need a replacement battery. The great thing with the compact and stylish design is that you do not need to bother removing the battery from your trolley after a round of golf, you can simply fold your trolley up and load it into your car and make your way home. A new charger is included in the S-Series 36 Hole Lithium Battery Kit so this should be used and any other charger disposed of. *This battery will complete 36 holes on a Motocaddy single motored trolley when used in normal conditions. The battery is not designed to complete 18 holes over consecutive days on a single charge. Battery capacity will reduce over time and can be affected by frequency of use and charging conditions. We do not ship outside United Kingdom. Please do not add product to basket as we will not be able to send this order and hence product will be removed from basket. 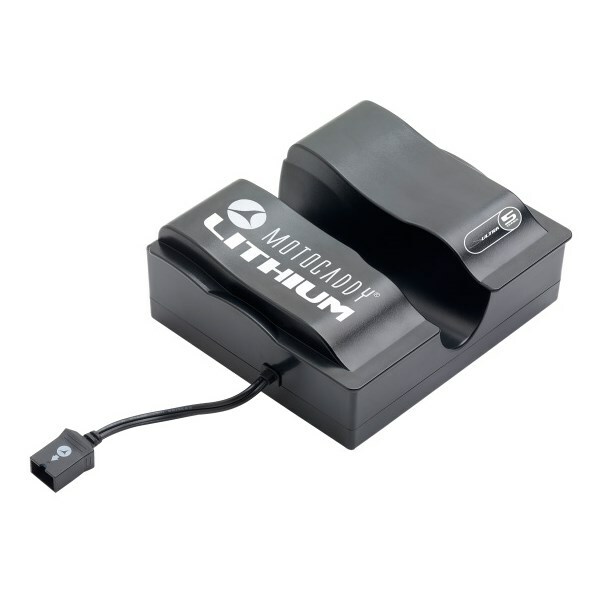 The Motocaddy Lithium battery and charger are both covered by a full 24-month warranty from the date of purchase. In addition to the standard 24-month warranty, Motocaddy now offer a 5-year warranty (additional 3-years) on the battery (this excludes the charger). Both the standard and 5-year warranties only cover purchases made in the UK and Republic of Ireland, for use in the UK and Republic of Ireland. In order to qualify for the 5-year warranty (additional 3-years) the battery must be registered online using the relevant Battery Warranty Registration form within 45 days of purchase. The warranty covers manufacturing defects that occur during normal use. Any breakage caused by accidental damage or as a result of abuse or misuse or commercial use is not covered. Motocaddy warrant that all LiFePO4 Lithium batteries will retain 75% of the original rated capacity (Wh). Any repairs or replacements made without charge do not carry a new warranty beyond that of the original purchase. The warranties contained herein are offered as an extra benefit and do not affect your statutory rights as a consumer. We reserve the right to request a proof of purchase. We also reserve the right depending on location to charge for shipping on any new replacement battery and this will be at our discretion at the time of replacement. Motocaddy Lithium Batteries are subject to the standard Motocaddy warranty terms & conditions. Note: The manufacturer's warranty covers purchases within the UK and Ireland only. Customers who purchase this battery from outside the UK & Ireland will not be covered by ANY Warranty. Faulty or failed Lithium battery cannot be transported by couriers as per their regulation. This effectively means that buying a lithium battery from another country completely defeats the offered warranty in the other country because it cannot be invoked. Hence we do not offer any warranty outside of UK on Lithium Batteries. Also note that as the product is being sold from a UK retailer, it will come with a UK Charger lead. If you want to use it in Europe you will need to have the correct European Adaptor to charge the battery.